At the beginning of the year your system will be turned on and checked for any problems. 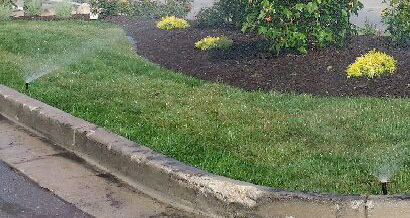 All sprinkler heads and other minor repairs will be made at this time. Do to most irrigation systems being turned on in the spring time it is always hard to see small areas that may not be getting proper coverage. That is why a mid season check up is essential to keeping your yard and plants green and healthy. At the end of the growing season your system needs to be turned off. This includes blowing all of the lines out. A special air compressor is needed to do this task.